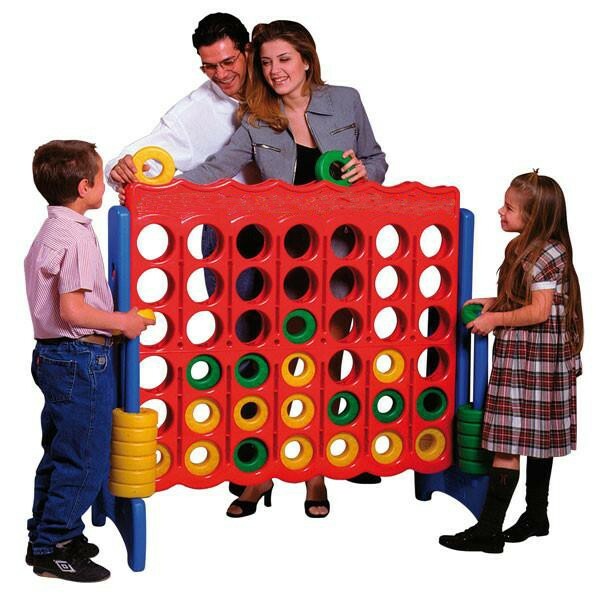 A gigant version of the connect 4 game, also known as Mega 4 in line is a great family game. 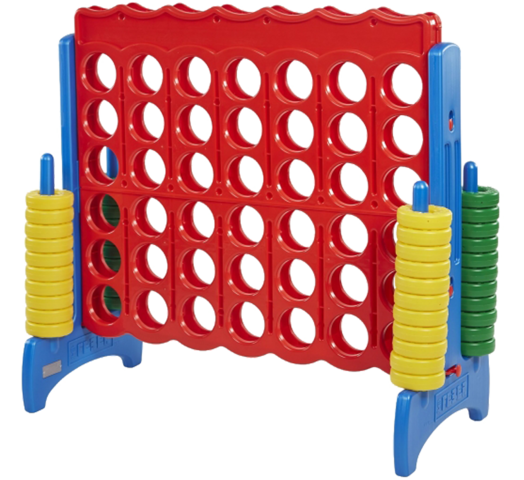 The objective of the game is that each player takes turns (one ring at the time) to connect 4 rings of the same color in a straight line. The line can be horizontal, vertical or diagonal. Whoever connects 4 first is the winner.